Download the Spring 2017 Series poster here. Cynthia Weber is a Professor of International Relations at the University of Sussex. She received a BA in Political Science from West Virginia University, an MA from Sussex University, and a PhD from Arizona State University. She held a post-doctoral fellowship at the University of Southern California and has held visiting appointments at numerous universities including the New School University, the University of Arizona, University of Wales, Aberystwyth, and Queen’s University Belfast in Northern Ireland. Weber trained as a filmmaker in the early 2000s at the University of Leeds. She is also an affiliated scholar with the Graduate Program in International Affairs and the Observatory for Latin America at the New School University in New York City. She has published several internationally recognized books on topics ranging from US foreign policy and international relations to theory and film, including Simulating Sovereignty (Cambridge University Press, 1995), Imagining America at War (Routledge, 2006) and ‘I am an American’: Filming the Fear of Difference (Intellect Books, 2011). Her article “Reconsidering Statehood: Examining the Sovereignty/Intervention Boundary” won the British International Studies Prize for the best article published in the journal Review of International Studies in its year. Weber regularly contributes to BBC Radio 4’s Woman’s Hour. Didier Fassin is an anthropologist and a sociologist who has conducted fieldwork in Senegal, Ecuador, South Africa, and France. Trained as a physician in internal medicine and public health, he dedicated his early research to medical anthropology, illuminating important dimensions of the AIDS epidemic, mortality disparities, and global health. He later developed the field of critical moral anthropology, which explores the historical, social, and political signification of moral forms involved in everyday judgment and action as well as in the making of international relations with humanitarianism. He recently conducted an ethnography of the state, through a study of urban policing as well as the justice and prison systems in France. His current work is on punishment, asylum, inequality, and the politics of life, and he is developing a reflection on the public presence of the social sciences. He occasionally writes for the French newspapers Le Monde and Libération. His recent books include The Empire of Trauma: An Inquiry Into the Condition of Victimhood (2009), Humanitarian Reason: A Moral History of the Present (2011), Enforcing Order: An Ethnography of Urban Policing (2013), At the Heart of the State: The Moral World of Institutions (2015), and Prison Worlds: An Ethnography of the Carceral Condition (2016). Professor Heonik Kwon received his PhD in Social Anthropology from the University of Cambridge. He is currently a senior research fellow at Trinity College in the University of Cambridge. Prior to his current appointment, Prof. Kwon taught at the London School of Economics and Edinburgh University. Prof. Kwon’s scholarship is primarily based in his training as an anthropologist, but his work has far-reaching implications for such disciplines history, sociology and political science. His doctoral research investigated hunter-gatherer societies in northern Sakhalin, and his subsequent research has looked at how people deal with the war and memory in Vietnam and the Koreas. This work uses ethnographic techniques to look at the rituals that war’s survivors use to deal with the aftermath of violence and loss. He has also done innovative work on the Cold War, subverting the grand ideological narrative that is familiar in the West and taking the perspective of the postcolonial nations, where local conditions led to a much different experience. He has also collaborated on work involving the role that art has played in sustaining the dynastic politics of North Korea. Prof. Kwon is currently working with scholars from the US, the UK and South Korea on a project entitled Beyond the Korean War. The goal of this interdisciplinary project is to re-conceptualise contemporary Korean history. Prof. Kwon is a prolific writer with several prize-winning books to his credit, including After the Massacre: Commemoration and Consolation in Ha My and My Lai, for which he was awarded the 2008 Clifford Geertz prize, and Ghosts of War in Vietnam for which he received the 2009 George McT. Kahin Book Prize. 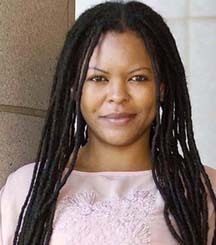 Simone Browne began her faculty position in the Department of Sociology at the University of Texas at Austin in 2007. She is Associate Professor in the Department of African and African Diaspora Studies. She teaches and researches surveillance studies and black diaspora studies. Her first book, Dark Matters: On the Surveillance of Blackness, examines surveillance with a focus on transatlantic slavery, biometric technologies, branding, airports and creative texts. Professor Browne has won the 2016 Best Book Prize from the Surveillance Studies Network, the 2015 Lora Romero First Book Prize from the American Studies Association, and the 2015 Donald McGannon Award for Social and Ethical Relevance in Communications Technology Research. She is an Executive Board member of HASTAC. She is also a member of Deep Lab, a feminist collaborative composed of artists, engineers, hackers, writers, and theorists. Along with Katherine McKittrick and Deborah Cowen she is co-editor of Errantries, a new series published by Duke University Press. Diana Allan is Assistant Professor of Anthropology and Development Studies at McGill University. She is founder and co-director of the Nakba Archive, a testimonial project that has recorded over 650 interviews on film with first generation Palestinian refugees living in Lebanon. She received the MEMO prize for her book Refugees of Revolution: Experiences of Exile. She completed her doctorate in anthropology at Harvard University in 2007, and was a junior fellow at the Harvard Society of Fellows from 2008-2012. She was a fellow at Harvard’s Film Study Center in 2008, and is a 2013 Guggenheim Fellow in film and video. Her book Refugees of the Revolution: Experiences of Palestinian Exile (Stanford University Press, 2013) explores the contingencies of nationalism and everyday survival in Shatila, a Palestinian refugee camp in Beirut. During the 2006 Lebanon/Israel war she established Lens on Lebanon, a participatory film and photographic initiative funded by the Soros Foundation, Oxfam and the Prince Claus Fund.